I was searching for a particular title on Amazon.com and I had just made my purchase when a recommendation for Pia Pudukone's debut novel popped up on my screen. Who is this new author, I wondered. My curiosity got the better of me, leading me to a point where I decided to interview her for this Tête-à-Tête column. Her path to writing has been one that was probably written in the stars. Though she has had no formal education in writing, she has embraced it from a very young age, and has won awards, while still very young. Obviously something that was just meant to be. 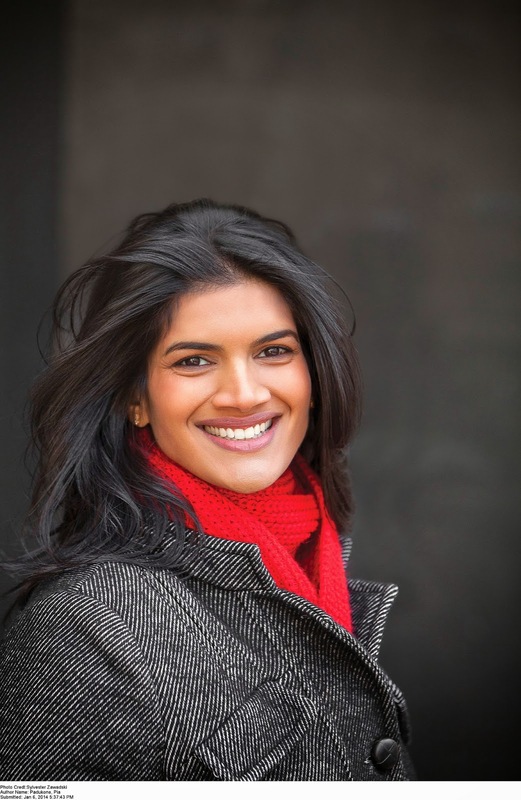 Her first book, "Where Earth Meets Water" was born out of Pia's near brush with several catastrophes, starting with 9/11, the Indian Tsunami of 2004 and the 2013 Boston Marathon bombings. Pia will soon be heading out to a writers retreat to work on her second book. We are glad we caught her before she heads out, and thank her for taking time to answer some questions for Suprose. Please tell us about yourself, where you are from and how you chose to become a writer? I am a very proud born and raised New Yorker, and I still live in Manhattan. My parents moved here from Bombay in the late 1970s. I’m not sure that I ever chose to be a writer; I almost think that it chose me. It was just something I was always doing. I wrote stories as a kid, first in longhand, and when my grandfather noticed my interest, he gifted me his old typewriter on which I would bang out short stories and then my first “novel” at age twelve. Where did you attend school? Did you study to become a writer? I attended Stuyvesant High School in New York City, a prestigious public school with strengths in math and the sciences. While I was there, I nurtured my interest in writing by starting a literary ‘zine with a friend, and taking lots of creative writing classes. While I knew inherently that I wanted to write, initially I convinced myself that it wasn’t a practical career. I attended Mount Holyoke College for two years, and transferred to the London School of Economics, where I graduated with a Bachelor degree in political science, even though English was calling me like a siren. So I never studied to be a writer. I forced myself to have lots of practice. Truth be told, I didn’t set out to write a novel from the start. 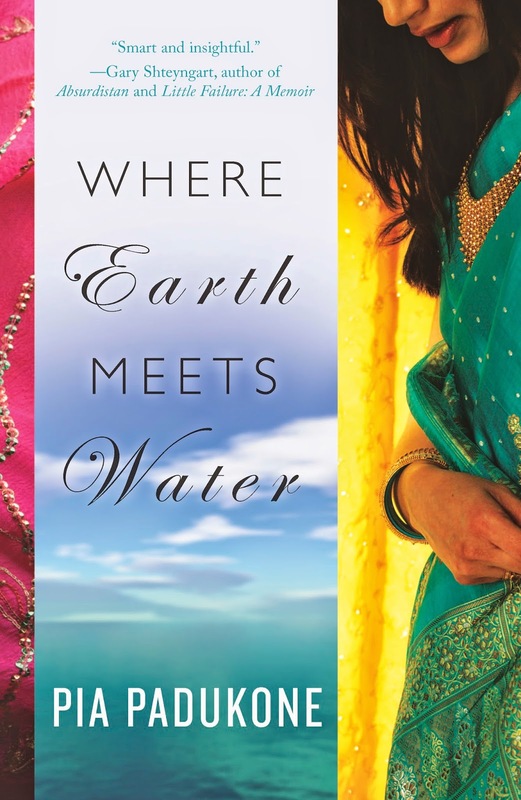 The first chapter of Where Earth Meets Water was originally written as a short story. But once I’d finished it, I realized that there was far more to this story than just the fifteen pages, so I kept writing, learning about the characters, discovering their quirks and getting annoyed by their idiosyncrasies along the way. I only recently left my full time job as a copywriter at a pharmaceutical advertising firm, which is what I had been doing since I graduated from college. The hours could be quite unforgiving; by the time I returned from work, my brain was quite resolutely finished thinking, brainstorming and being creative. So I had to teach myself to become a morning person, setting my alarm for 6am and writing for two hours each day before work. I grew to cherish this cocoon of time when it was just my laptop, my darkened bedroom and me. It really was a magical period; at the end of 10 months, I realized that I had spun this short story into something larger than I had ever imagined. Karom Seth is a man who is haunted by the fact that he has narrowly escaped multiple disasters, both manmade and natural. He was nearly in the 9/11 tragedy, nearly on the shores of the Indian Ocean when the tsunami decimated so much of the South Asian coastline. In the summer of 2001, I was working as a temp in a stock brokerage in Tower 1 of the World Trade Center. My last day before I left for my junior year abroad in London was Friday, September 7th. When those towers came crashing down, I couldn’t help but fixate on the idea that I could have been in them; somehow, I had been spared. In December 2004, my family and I were vacationing in Northeast India. We were standing on the beach in Puri, letting the sand envelop our toes, watching the waves crash gently against the shoreline when my uncle called us, frantic with the news that a huge wave was wreaking havoc on the coast just a few hundred miles south of where we stood. What if we’d decided to journey a little further south? And in 2013, my husband Rohit ran his third Boston Marathon, a day we will all remember as one of terror rather than athletic celebration. I walked jubilantly past the finish line to meet him, and it was only over pints of beer just a block south of where the backpack bombs went off that we saw the terror occurring on the television screens. What if my husband wasn’t speedy? What if the bombs had been set to an hour prior? Each of these misses made me consider the fragility, the arbitrary nature that is life. While I had accepted each of these events as coincidental, they forced me to ruminate about how someone who was deeply affected by these experiences and had lost loved ones in similar tragedies might approach his or her life. And Karom was born. In this current environment fiction writers would give anything to sell their book. What was the process you went through to make this sale and get the book out on the shelf? Once I had a draft of the novel that I loved, I began to search for an agent who loved it just as much and wanted to represent me. Unfortunately, I received so very many rejection slips that I considered turning them into some kind of avant-garde art project. Dejected, I sent my manuscript to an Indian publishing house, which accepts unsolicited submissions, and I received an offer to purchase my novel. However, as elated as I was that there was interest, I felt simultaneously overwhelmed: was I being offered a fair advance? Were the royalties standard? This is precisely why I needed an agent. So I worked backwards at this point, emailing a number of agents and letting them know that I already had a deal in the making, and finally found one who loved Where Earth Meets Water and wanted to represent it. But she suggested selling it to a US publishing house, since that’s where I am from, and she succeeded in doing so. When you write a novel, do you have any pet peeves/specific areas that you give extra attention? I love reading tips and advice from other established writers who have been through the process time and again. I think it was John Steinbeck’s advice that I try to adhere to when I am writing dialogue: to read it aloud in order to make sure that it sounds like it could be a realistic conversation. Dialogue is tricky; when it’s used as a tool to convey information, sometimes writers forget that it has to sound like words that would actually come out of peoples’ mouths. How many revisions did your manuscript go through? Once I was happy with my first draft, I shared it with my writing group, and a family member who is also an editor. They each had comments and suggestions, some of which I used and some with which I disagreed. After my agent and I had sold it to my publisher, my editor had a fair number of changes to the manuscript. At first, I was hesitant and incredibly stubborn about wanting to incorporate her changes. After all, this was my story. Only I knew how it should be written. But I let her comments sink in and realized that she was only trying to make Where Earth Meets Water a stronger, more powerful story. She was trimming the unnecessary fat, and bolstering the weak links. Ultimately, it was a better book for it. And I learned a very humbling lesson. Who do you read for pleasure? … and for motivation? I actually don’t see these two (reading for motivation and for pleasure) as separate entities; I think reading for pleasure is also motivational because when I read great work, it inspires me to write great work, and anything I read for motivation brings me pleasure because it encourages me to write, and writing makes me happy. Some of my favorite writers include Ha Jin, Chang Rae-Lee, Meg Wolitzer, John Updike, Curtis Sittenfeld, Dave Eggers, Emma Donoghue, Thrity Umrigar, Jhumpa Lahiri, Ann Patchett, Lionel Shriver, Vendela Vida, Dinaw Mengestu, Somerset Maugham…I could go on. Specifically, Jennifer Egan’s A Visit from the Goon Squad was incredibly inspirational to me while I was writing Where Earth Meets Water. I loved how she experimented with different styles for different chapters, and it encouraged me to try my hand at something other than a straightforward narrative, which is where I found the courage to write one of the chapters in an epistolary style as well as a fairytale story within the larger story. I’m a voracious reader, and the stack changes from week to week. Right now, there’s Between Shades of Gray by Ruta Septys, a Young Adult book that explores the indelible years of the Soviet occupation in the Baltic States and follows the life of a Lithuanian teenager and her family who are forced to the labor camps of Siberia. It’s been great background research for my next novel. I also have Delicious! by Ruth Reichl, her first foray into novel writing, and a truly charming story of a young food writer who is blessed with a near-perfect palate and stumbles across correspondence between James Beard and a budding young chef during the World War II years. And I’m on the first few pages of Bombay Stories, a short story collection by Saadat Hasan Manto, who has been decreed “the undisputed master of the modern Indian short story” by Salman Rushdie. I’m intrigued. What are some tools you use to overcome writers block? The reason I read so voraciously is because you can always glean ideas for you own work from other writers. One of my favorite quotes that is often attributed to Picasso is, “Good artists borrow. Great artists steal.” Of course, it’s essential to ensure that those ideas translate in your own voice as opposed to another writer’s, but reading other great writing has sparked storylines and inspired motivations in my own work. Sometimes when I am stuck, I force myself to keep writing, even if the work I am producing is terrible and I know I will eventually trash those lines or pages. Continuing to write is the only way to produce more work, and at some point, it has always led to some kind of hidden gem. I also swear by morning pages, writing continuously without stopping first thing in the morning before you begin any of your other ablutions. It’s a great strategy to cut the clutter in your head that might be distracting you, whether it’s deadlines, reviews, family issues, etc. by writing it all down once and for all so you can concentrate on writing. I recently returned from a trip to the Baltic, where I was doing some on-the-ground research for my second novel, which partly takes place in Tallinn, Estonia. The story is about two families who meet through a student exchange program and become inextricably linked so that their relationship continues through the years after the program ends. The trip was crucial for me to understand the nuances of newborn Estonia and its culture, forming and creating its own characteristics after having been governed by neighboring powers. Next week, I am heading to Nebraska, where I have been accepted to a month-long writing residency. I’ll be writing on a farm in Marquette, focusing entirely on completing the first draft of my second novel, before Rohit and I welcome our first child in September. I’m so grateful for this time, since I have a rather non-negotiable deadline! Fabulous interview, I look forward to reading her book.